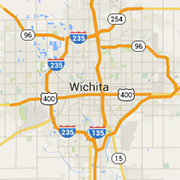 The Wichita area's best steak houses and steak restaurants are here! Browse menus and more for great steaks, prime rib, ribeye and KC strips, BBQ and more. From causal to fine dining restaurants in Wichita, the best steakhouses are here. Greystone is the quintessential east-side steak & seafood destination. Your night starts and ends here. An ideal place for a casual upscale dining experience.